Our resident video editor Shmulik Belo has a ton of experience with video production project management. We believe him when he says, “Making a movie is like going to war. And as we’ve all learned, you don’t go to war unprepared.” That’s why every producer needs a solid video production project plan. Producing a video can be very chaotic. Between planning, shooting, editing, and promoting, there’s a lot that can go wrong along the way. Actors don’t show. The sound isn’t quite right. The storyboard simply doesn’t make sense. Whether you’re employed in-house or creating content for clients, you need a solid video production project plan to get your ducks in a row. In this post, we’ll share two templates that will help you take your projects all the way from pre to post with ease. We’ve taken these templates directly from our most successful video production customers to share their best practices with the world. Video production project management to the rescue! Although video pre-production has many different moving parts, chances are you go through more or less the same process for every video you create. It only makes sense to keep it all in one easy-to-track place. The creative approach: Who’s your audience? What’s your objective? What do you want to happen when people finish watching your video? Develop your message accordingly. Writing the script: This is one of the most critical steps in your pre-production process. What’s the concept of the video? Does your script convey your core message? Creating a storyboard: Sketch out how the movie will go, frame by frame. Get really specific and dive into the detail of every shot. Voiceover: Will your video have a narrator? Can it be Morgan Freeman? Location: Where will the video be filmed? Talent: Do you need to hire actors? 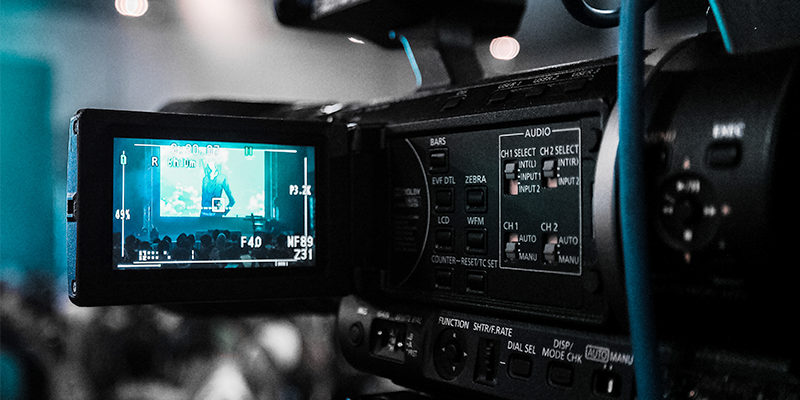 With proper video production project management, you can ensure that everything will go smoothly when it’s finally time to hit “record” and get the cameras rolling. You filmed your video. Everything went great, thanks to your flawless pre-production planning. But your work’s not over. Now it’s time to move it into post-production. 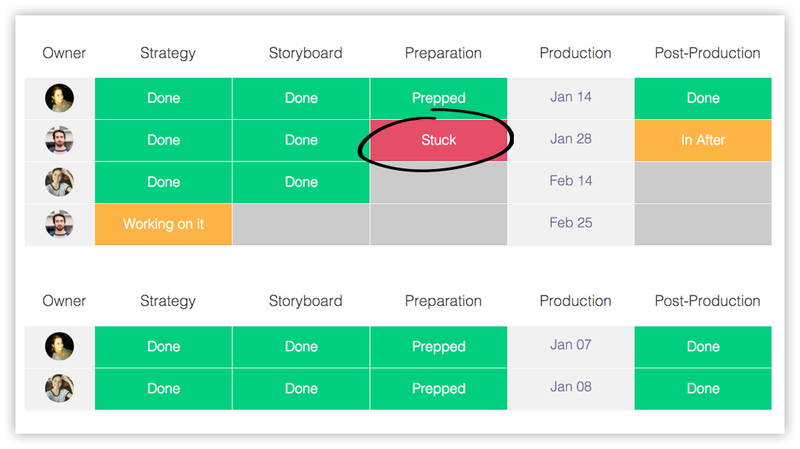 Below is a sample post-production board, which you can use to manage your editing process, communicate with the editors on your team, and make sure everything is aligned with client expectations. Again, you probably go through the same post-production process for every video you create. Track all videos in one board so nothing falls through the cracks. Brand assets: Did you get everything you need from the client in terms of their logo, photographs, or other assets they need to have included? Music: It’s critical for this to be aligned with the initial creative brainstorming. What do you want your viewer to feel when they hear the music? Audio mixing: Combine all the speech, voice-overs, background noises, sound effects, and music into one pleasing audiotrack. Color: Does anything need color correction? Do you want to use color grading? Video production project management doesn’t need to be painful or laborious when you have the right tool. Use our templates to see clear ownership of productions, store all of your files and communication in one place, and never drop the ball again.